So, in the absence of bringing forward primary legislation on planning (which, after all, was the original intention with the Housing White Paper), the government is using the consultation on amendments to the NPPF to drive through substantial change. The premise is good – we need more housing and government is going to legislate to build them. The media rhetoric tells a different story – housebuilders are greedy and gaming the system and we need to crack down on their shoddy behaviour. Personally, I have always found that telling people that they’re under-performing and acting in an underhand manner is a really motivating and inspirational means of getting them to work towards a joint goal… However, behind the headlines, which is what the government is assuming most of the voters they are terrified of offending will read without going into any detail, what is actually in there? Perhaps disappointingly for my usual attempt at brutal sarcasm and scathing policy analysis, it’s actually a pretty good document. Combined with the other consultations including on CIL and viability in particular, there is a lot to commend within the document. If only the government could resist from declaring the entire industry to be broken and all local authorities to be inept, it would be a very constructive approach. However, no policy, no matter how perfect, will fully address the ‘problems’ in the planning process because to do that, you would need to take democracy out of planning and that would ultimately lead to some seriously undesirable outcomes. What is important is that all those involved in the process recognise that planning is a case of balancing conflicting aspirations and intentions and producing something which creates the best possible outcome within that framework. The big question is, do the revisions to the NPPF do that? This is a canter through the whole document so excuse the bits we have inevitably missed and the detail which you will no doubt pick up on over the next few days. Planning is separated into three tiers: Strategic Policies, Local Policies and Neighbourhood Plans – although the document re-emphasises that Neighbourhood Plans cannot promote less development than set out in strategic policies. However, once an NP is adopted, the policies contained within it will take precedence over non-strategic policies in an existing Local Plan unless superseded by subsequent Local and Strategic policies. Which seems like a whole world of ambiguity to me so I’m looking forward to see how that one pans out. Strategic plans should set out housing numbers for individual neighbourhood areas which would then need to be adopted by Local Plans. Strategic policies need to have a 15-year outlook and subject to review and updating every 5 years with broad locations for development and land use designations to be identified from the outset. Through strategic plan making there is a duty to cooperate. With an emphasis on the need for pre-application engagement, there is also an emphasis on local authorities providing clarity on pre-application requirements from the outset. Prematurity is minimised as a reason for refusal with only substantial developments or significant cumulative impacts forming the core basis for such a refusal. The NPPF seeks to limit the use of Article 4 Directions (in conflict with the London Plan which seeks to extend this). Conditions should be used to make otherwise unacceptable development, acceptable. Conditions should be kept to a minimum and only imposed where essential. Pre-commencement conditions should be avoided. Conditions should relate to the development and be fair and reasonable. However, conditions may be imposed which set a timescale on when development must commence for the planning permission to remain valid, which may be shorter than the current default period. There is also a more strategic approach taken to how CIL is implemented and a desire to link it more closely to residential values but the separate document on viability needs to be linked to this. There is an emphasis on viability assessments to have more of a role at the stage of plan-making not just at decision-making with a view to speeding up the process and reducing the need for viability assessments where schemes are compliant with local policy. All viability assessments would also be made publicly available. Combined and strategic authorities will also be enabled to introduce a Strategic Infrastructure Tariff. As expected, there is an emphasis on the need to deliver housings where there are consents as well as delivering the type of housing needed including affordable housing of all types. If specific housing is provided – eg. for elderly or students, the site may be exempt or based on a different assessment. This seems to be something of a slap down to Sadiq Khan and the London Plan which has put in a new requirement for affordable housing on student and elderly accommodation. Affordable housing contributions will also be lowered where brownfield land and vacant buildings are to be brought back into use or redeveloped. 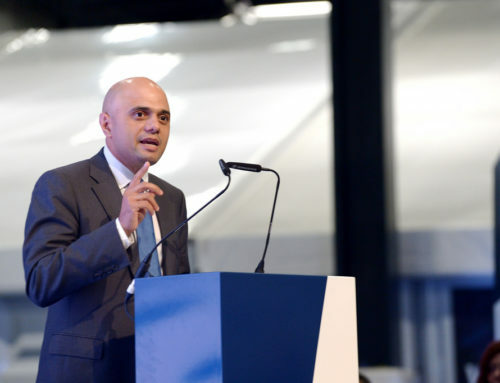 Local authorities are encouraged to look for exception sites which can deliver affordable housing or homes for first time buyers and which are outside allocated sites but adjacent to existing settlements. It remains sacrosanct – despite it being much more logical to undertake a wholesale review of land for development and which will probably result in the same amount of greenbelt but simply adjusted – as things have possibly changed a bit since 1947… At least that is how the headlines have had it. The detail of the document does, however, set out the circumstances under which greenbelt reviews can be undertaken and how they should be undertaken. There is the option to create more (limited) greenbelt, to allow new settlements to retain a unique identity – and ultimately give comfort to local residents that a proposed development is the sum total of what will be coming as a new greenbelt will prevent further development. As expected, there is a major emphasis on brownfield land and the need to support remediation and reuse of such land to encourage development (and even a vague reference to brownfield land actually being in the greenbelt – and potentially being suitable for housing – although quite far down the policy document). Whilst there are a series of developments which comprise exceptional circumstances, renewable energy projects do not fall within this – which may be a blow to those promoting solar farms and other projects which impinge on existing greenbelt sites. There is an encouraging emphasis on place-making within the documentation bringing together design, land uses, landscaping, social uses, open spaces etc to create place. To ensure this, there is a requirement for the quality of design to be integral to the process from planning through to development. Helpfully for an agency which specialises in consultation with the local community, the document re-emphasises that applications which can demonstrate genuine engagement with the local community will be looked upon more favourably than others. The document clearly sets out the need to ensure that planning is not simply about housing but about economic development as well. Within this there is a need to ensure that employment and industrial land is preserved and is taken into consideration in terms of the provision of infrastructure and is flexible enough to adapt to changing work practices. Town centres are also a key part of this with the need to review the hierarchy of towns and the suitability of development including diversification and change of use within towns emphasised within the document. Planning for town centres should look ten years ahead, recognising that it is difficult to assess retail need any further than this. The document also references the need to provide places for social and community use as a core part of planning including through estate regeneration, at the same time reiterating the need to protect open space and playing fields. How the provision of non-residential uses can be incorporated into viability assessments is not quite clear, nor how that should be taken into account by local authorities who have a simple and straightforward focus on housing numbers to the exclusion of anything else. At the same time, housebuilders and land owners should expect an increasing focus on penalties if there is any proof of land being hoarded rather than brought forward for development. So what now? Well, we need to see whether or not Government can actually keep its side of the bargain – there are many politically controversial schemes sitting on the desk of the Secretary of State, the outcomes of which will be a yardstick for how committed the government actually is to its own agenda as opposed to political expediency.